clean&simple: More FTL 47 Samples! As promised, here are a few more cards that follow the sketch pretty much exactly. 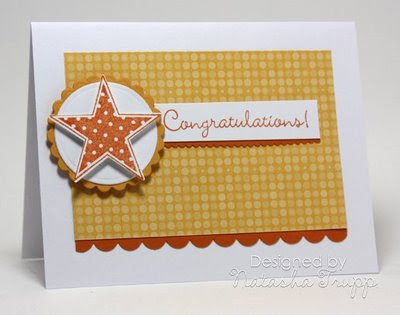 First up is a Congratulations card. I wanted to use the star in Everyday Classics, and it seemed like "way to go" kind of image. I am really loving this yellow circle background from Good Morning Sunshine. I'm a bit sad to see it being retired. 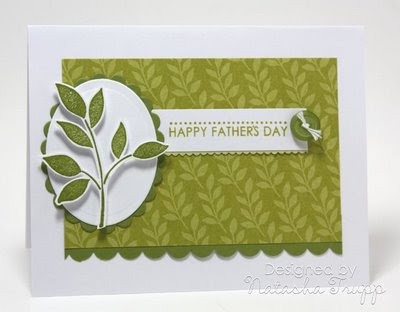 Next up is a Father's Day card. I figured I should make a few before tomorrow... I can't believe I only noticed this now, and I'm sure others have noticed, but this leaf stamp from a few SABs ago totally matches the new leaf die cut. It's almost an exact match! *I just wanted to add: I didn't actually try to cut it out with the die. I still cut it out by hand* And that means that it coordinates quite nicely with the Walk in the Park paper. I suspect I'll be pairing the two items together quite a bit now. Very nice! I like the colors on both. What does SAB mean? I love that leaf stamp and NEED to know the name. If you find out, please let us know. Wonderful card, as always. Thanks, Jane. Love them both! I hardly ever use pp on cards, but this is motivating me to do it more! These designs are really sharp! Ha - I already posted this to the wrong blog entry! I think that the set that the Sweet Stems Sizzix die matches is SU! Best Blossoms. Again, thank you for spotting this!! Lovely cards, Natash! Just a breath of fresh air. And in case Anonymous is reading this, SAB means Sell-a-Bration in stampin' up language! Great uses of the sketch. I like the patterned paper on both of these. Fall to Layout #46 Thanks!